We truly love caring for your pet an we`re sure that will come through when you visit Tierklinik am Stadtpark. Each member of our staff is highly motivated an all of us are well aware of the responsibility we have for our furry patients. 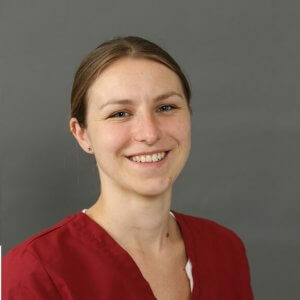 Mrs Franziska Siewers has worked as clinic manager since 2010, when she took over from Dr. Bernd Raqué. 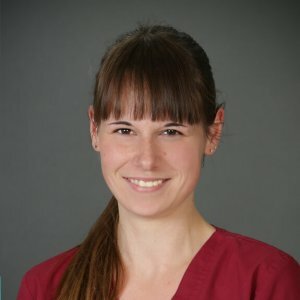 She is a trained and fully examined Veterinary Assistant and she has continued her education for many years focussing on the treatment of smaller animals. In her free time she loves spending time with her dog Maya, and of course she has to take care of her two young sons, which is the reason why she is not always available at the clinic at the time. 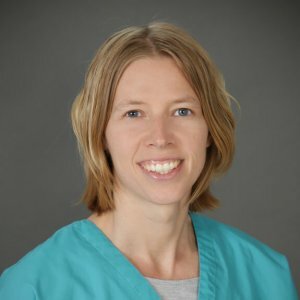 Dr. Melanie Keilwerth has been a member of our team since 2013 and she has been in charge of the medical staff since 2015. Her special interest in vetenary medicine is internal medicine. 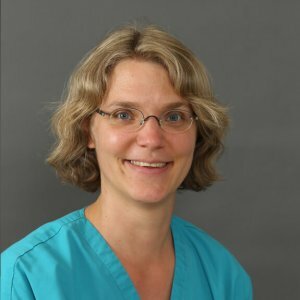 Dr. Sabine Kautz ist the most recent member of the medical staff. She worked abroad for many years. She ist the specialist to turn to when it comes to ultrasound diagnostics. 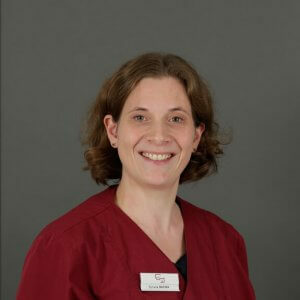 Since May 2018 she is a certified General Practitioner in Small Animal Ultrasound, approved by the ESVPS. 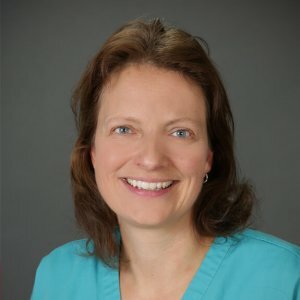 Dr. Britt Nemecek has been a member of our team since 2012. She has a special qualification for the treatment of „Wirtschafts-, Wild-, Zier- und Zoovögel“ (various kinds of birds) Here she is the person to address when it comes to treating birds of all kinds. She has just returned from her parental leave and is now working full time again. 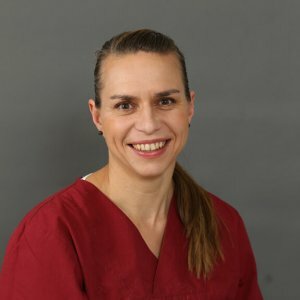 Mrs Claudia Skerjanz, Registered Veterinary , joined our team in 2017. 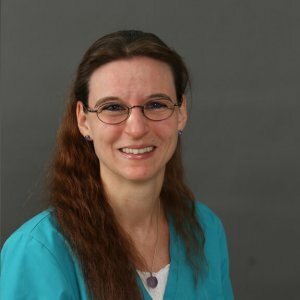 She has been working as a vet for more than 15 years at various different veterinary clinics, which has allowed her to acquire an especially broad and profound medical knowledge. Her special interest in veterinary medicine is surgery. In her free time she enjoys spending time with her dog Pino. Dr. Eva Strüve is part of the team since 2015 with additional focus on reptiles and amphibiens. Currently, Ms. Dr. Strüve is on parental leave. Mrs Yvonne Wagner-Sydow has been on the team for more than 16 years now – since 2001, to the precise. She already worked with former owner Dr Raqué, when the clinic was still located at Schillerplatz. She regularly assists the vets during surgery. In addition to that she is a certified nutritional advisor (working with „Royal canin“). Her dog Lara is always with her and keeps close watch over her. 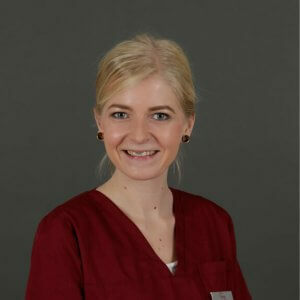 Ms Katharina Kurth has been with us since 2015. 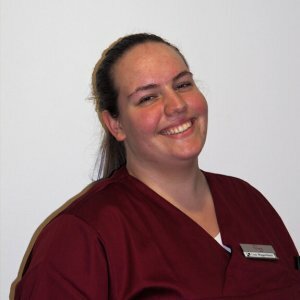 She is both a vet assistant and a trained clinic manager, organizing the daily routine at our clinic. Ms Kurth has acquired additional qualifications in various fields. At the moment she is furnishing the education to become a psycologist focussing on cats. Hence she is the the ideal person to address when it comes to treating behavioral problems. Lola, her dog and Lucifer her cat are part of her daily life. 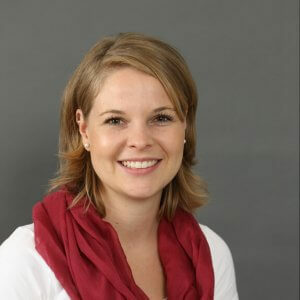 Mrs Silvia Mutzke joined the staff in 2015. She is responsible for the nutritional diets at the clinic (during the patients´ stay). At the moment she is completing her education to become a professional nutritional advisor. In addition to that she is coordinating and watching over the education of our trainees. After work her cats Fritz and Maja are patiently waiting for Silvia at home. Mrs Lisa Vache joined us in 2017. In addition to fulfilling a vast array of daily tasks she is in charge of our in-home pharmacy and sees to it that we never run out oft he drugs we need. In her free time she doesn´t get much rest either, thanks to her two dogs Ray and Misha and her two cats Susi and Sandy. 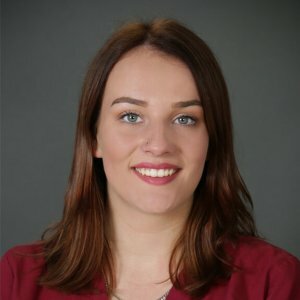 Ms Selena Knaupp started her training with us in 2015. By now she has been assigned a lot of responsible tasks and is a steady member of the team. At home she takes good care of her two cats Rusty and Raider. Ms Rother started her training with us in 2016. She is steadily acquiring all the relevant theoretical knowledge as well as the practical abilities and competences necessary for a good veterinary assistant. In her free time she is accompanied by her dog Debby. 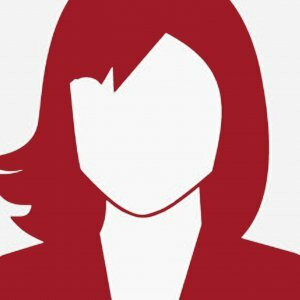 Ms Lisa Wagenblast started her training in 2017. So she is the most recent member of our staff. After work and school she cares about her cats Felix and Blacky.